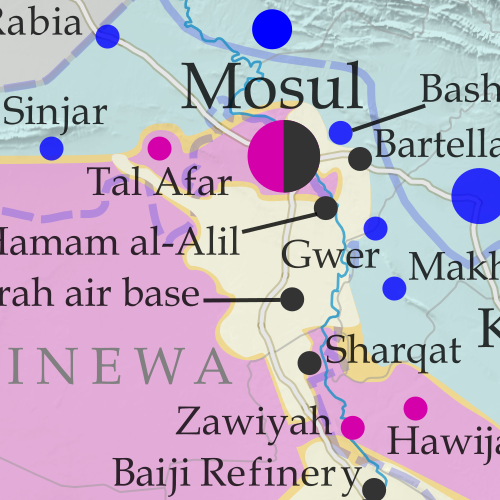 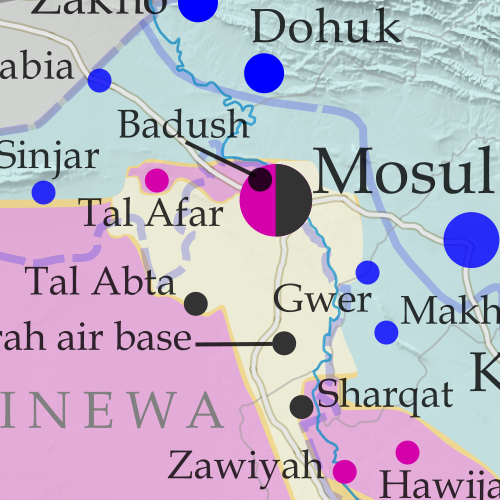 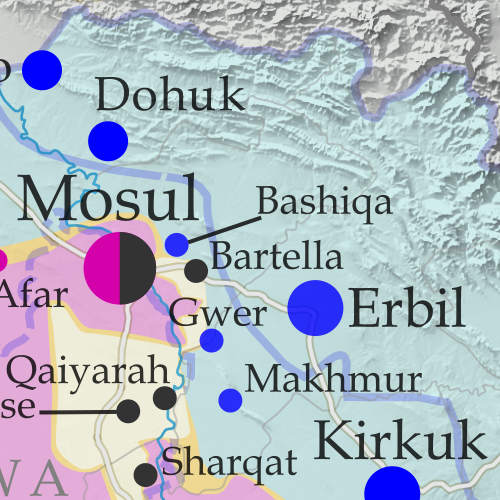 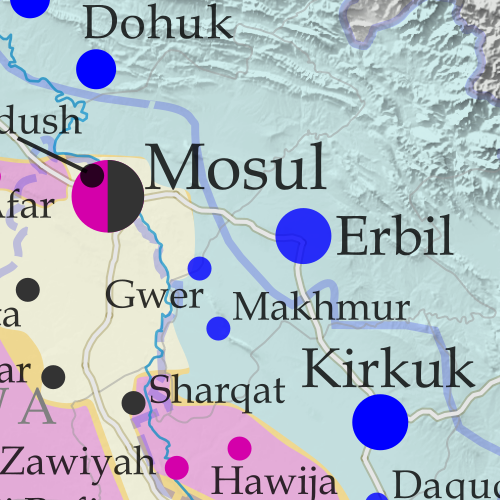 Over the past two months, a battle has raged for control of Mosul, the second-largest city in Iraq and the largest controlled by the so-called "Islamic State" (ISIS/ISIL). 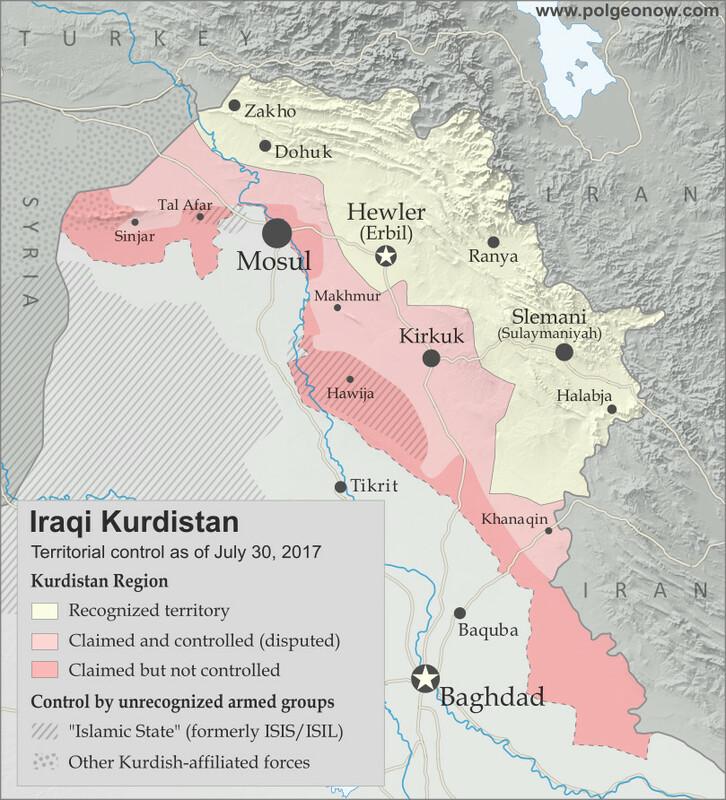 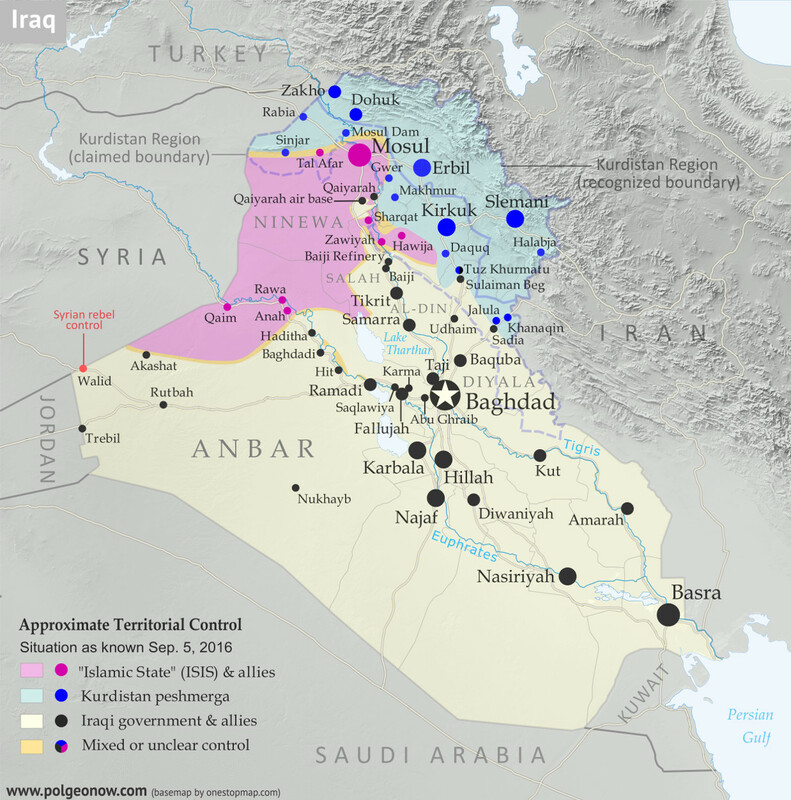 Government and allied forces have made slow but steady progress in the city and nearby areas, even while advancing in western Iraq's Anbar province at the same time. 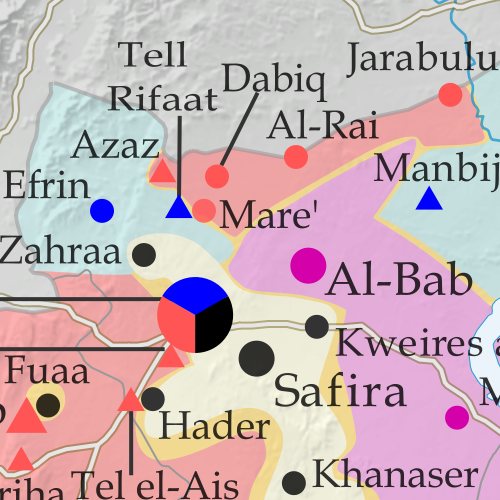 In the past month since our previous Syrian Civil War map update, fighting has focused largely on the ongoing battle for the city of Aleppo, where rebels control a large enclave in the east, as well as a three-way fight for control of Al-Bab, the largest town in the countryside east of Aleppo (at least, according to pre-war census figures). 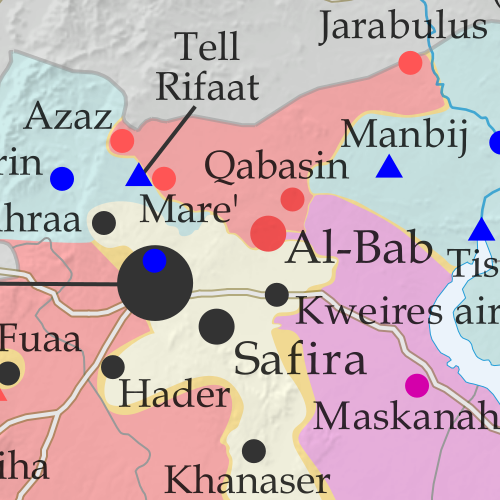 Held for nearly three years by the so-called "Islamic State" (IS; formerly ISIS/ISIL), Al-Bab is now the target of both the Turkish-backed Free Syrian Army (FSA) rebels and the US-backed Syrian Democratic Forces (SDF) coalition led by Kurdish militias. 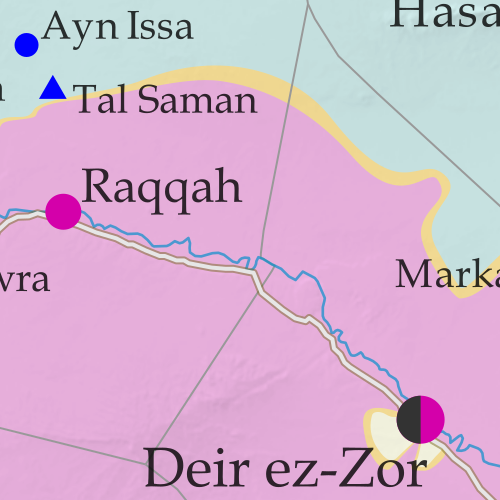 The SDF has also made progress toward the IS capital of Raqqah in the east, while the Syrian Army of President Bashar al-Assad is making slow progress against rebels in the west of the country. 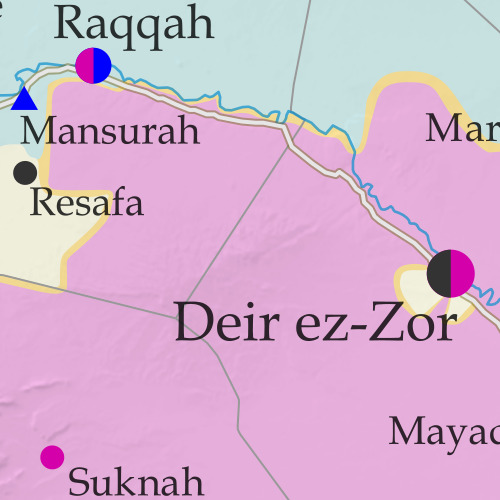 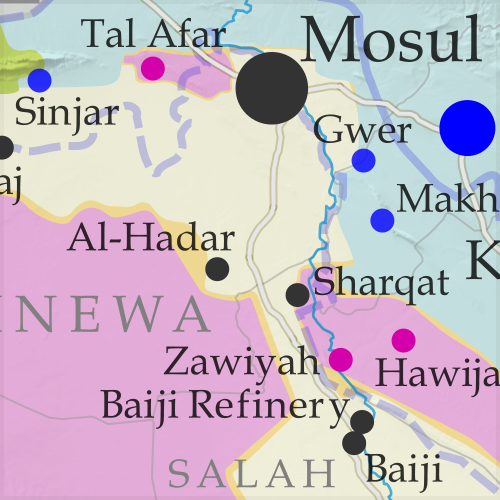 During the past month, a continued Turkish military incursion into Syria completely cut off the so-called "Islamic State" from the self-proclaimed caliphate's last international border in the region (other than its boundaries with Syrian and Iraqi territory). 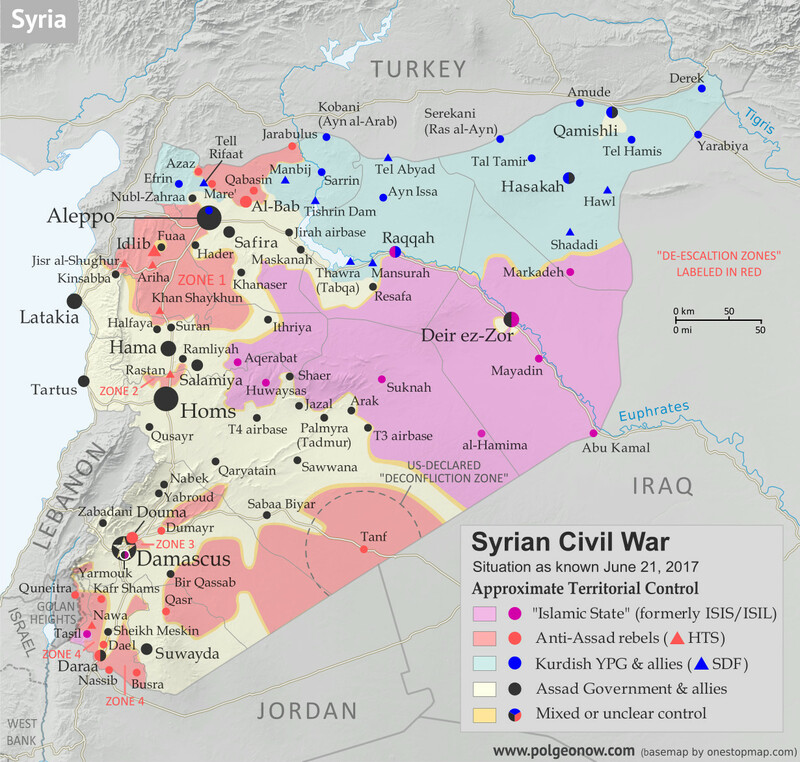 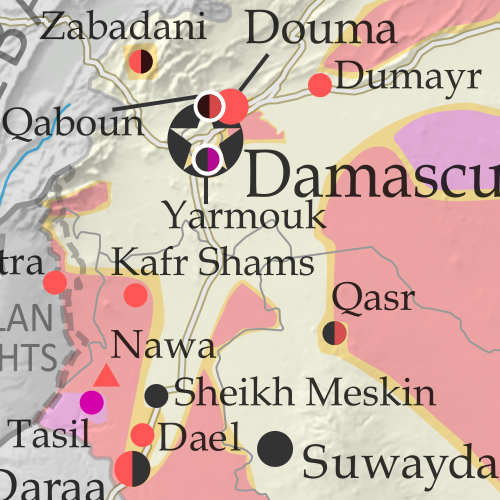 Meanwhile, the Assad government and rebel groups have continued to take territory from each other despite a brief attempt at a country-wide ceasefire. 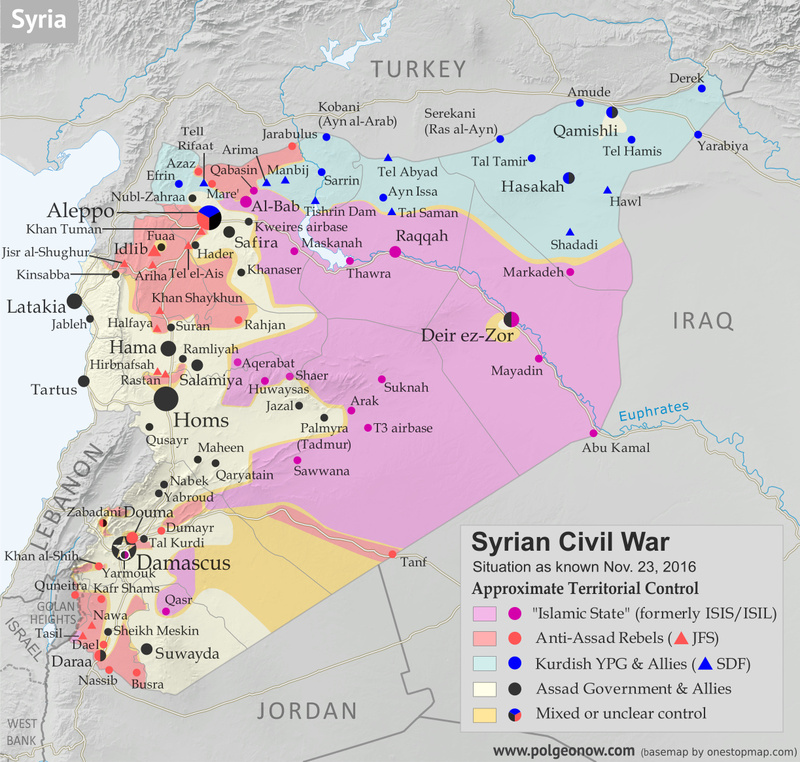 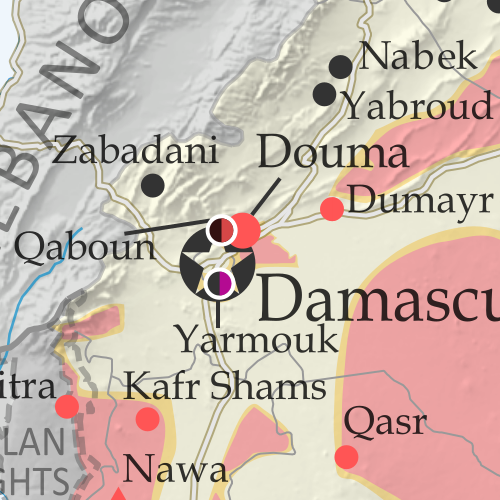 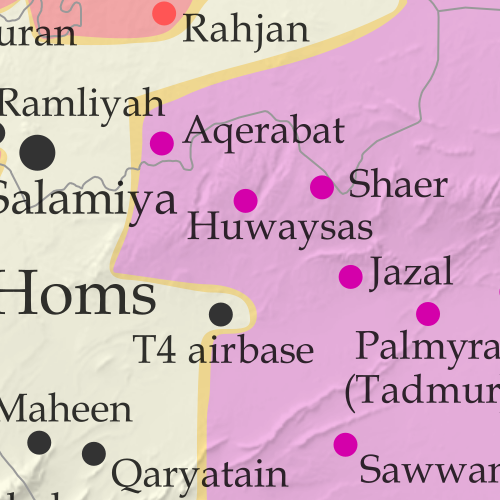 See all this and more on the latest update to PolGeoNow's concise, professional Syrian Civil War control map, which includes a timeline of changes since our previous Syria map report in late August, with sources cited. 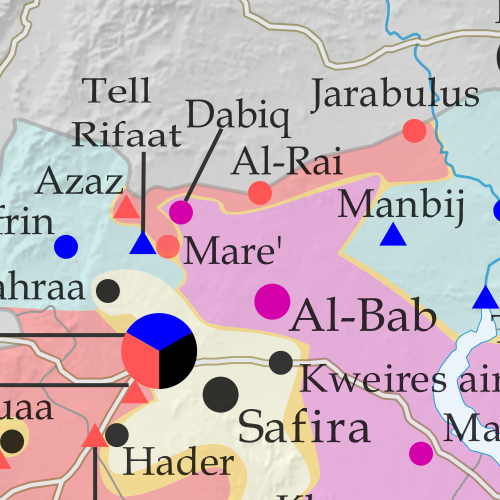 Locations of recent fighting and military operations, including Dabiq, Halfaya, Suran, Jarabulus, and more. 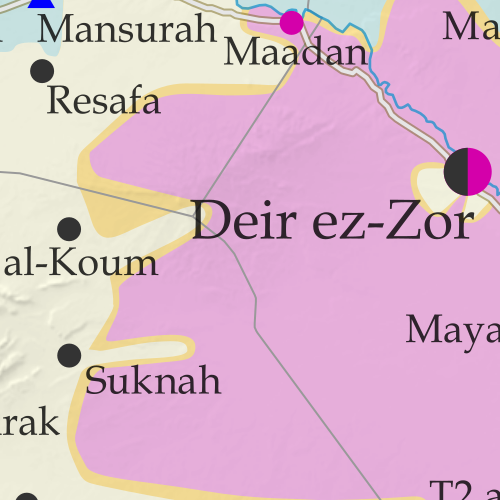 Detailed timeline of important events and changes to territorial control since August 27, 2016, compiled by our Syria-Iraq expert, with links to sources.